Disney’s influence in Florida legislature is at display with this new bill, but deeper scrutiny is needed as consumer advocates are asking. 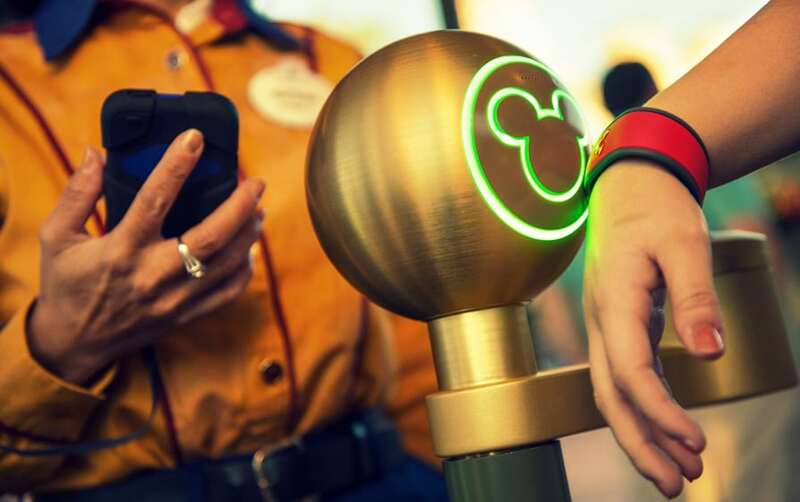 Walt Disney World has spent close to $1 billion developing its “MyMagic+” system, which includes replacing conventional tickets with wireless-transmitting wristbands that serve as all-in-one park passes, room keys and credit cards. Now Disney wants to make sure those “MagicBands” are protected by Florida law. The giant resort is lobbying the Florida Legislature this spring to rewrite the state’s ticket laws to cover its new bracelets, which Disney hopes will revolutionize the theme-park experience for visitors — and become a lucrative new source of souvenirs. The company says the changes in state law are necessary as ticketing systems advance far beyond the familiar paper passes, both in its theme parks and elsewhere. The language is contained in a broader bill that aims to prevent fraudulent sales of theme-park passes, which Disney and others say have become a criminal cottage industry in Florida. But some sports fans and activist groups say the measure goes too far and would unfairly impede consumers from reselling tickets to football games, concerts and other events. It would make another subtle change as well. Right now, it is illegal to resell or transfer a multiuse theme-park pass to someone else after it has been used at least once — but only as long as a phrase such as “nontransferable; must be used by the same person on all days” is printed somewhere on the pass. The bill would flip that. Instead, it would be illegal to resell any such pass, unless the ticket or venue owner’s website clearly say the pass may be used by more than one person. That change could help Disney in a couple of ways. Printing such warnings will become more cumbersome as the resort moves away from paper passes to wristbands. And unsightly legalese could undermine the aesthetics of the wristbands, which Disney hopes to turn into collectible souvenirs by selling customizable styles and accessories. Lawmakers have made no secret of their attempts to accommodate Disney’s new technology with the legislation. It is testament to Disney’s influence in the state Capitol, both as one of the Florida’s biggest economic engines and one of its most generous campaign contributors. “We are codifying that, if Disney wants to use a wristband, a button, an ID card or your phone as a ticket — as they currently do — it’s their choice. And, more importantly, it’s their right to do so,” the bill’s sponsor, Rep. Dan Raulerson, R-Plant City, said last week during a presentation to the House Business & Professional Regulation Subcommittee. Disney and others say the fraud-fighting portions of the bill are just as important. The legislation would dramatically increase the penalties for people who fraudulently resell tickets to parks and other entertainment venues. The fine for a first-time violation of reselling multiuse park passes would jump from no more than $500 now to a maximum of $10,000, and repeat violations would become a felony instead of a misdemeanor. Capt. Al Rodrigues, who commands the Orange County Sheriff’s Office sector that covers Disney World, told lawmakers that a recent investigation turned up a convicted drug dealer who had switched to selling phony theme-park passes to tourists because the existing penalties for the crime are so lax. “He’s making more money than he was in his drug years. He’s not facing going to a federal penitentiary — he’s not even facing going to state jail. And, frankly, you don’t get shot by your opposition when you’re selling tickets, the way you do in the drug trade,” Rodrigues said. Orlando-based SeaWorld Entertainment Inc., whose parks include SeaWorld Orlando and Busch Gardens Tampa Bay, said it also backs tougher penalties. “We support measures that strengthen protections for visitors to Central Florida from fraudulent ticket schemes,” spokeswoman Becca Bides said. A spokesman for Universal Orlando said the resort is following the issue but would not comment further. Disney’s provisions appear to have drawn widespread support in the Legislature. But a coalition of consumer and free-market activists is battling hard against other parts of the bill. One provision would declare that any ticket to an entertainment event is a type of license, rather than personal property, that the issuer could revoke for any reason and at any time. Another provision would ensure that entertainment venues, event presenters or their agents can employ any ticketing methods they choose, which detractors say could include “restricted tickets” that could not be resold at all or could be resold only through certain outlets. Critics say that language would ultimately lead to even more market control for Ticketmaster parent Live Nation Entertainment Inc., which is also lobbying for the legislation. “Consumers want to own the tickets that we buy, and we would like to have choice in the marketplace,” said Bill Newton, executive director of the Florida Consumer Action Network.